The big news this past week has been the attack against Comodo where false certificates were created for popular domains like google.com, yahoo.com, live.com and skype.com. Comodo is a Certificate Authority (CA) that your browser trusts, this means that these false certificates would be accepted by most browsers. But the attack was luckily discovered and the false certificates have now been revoked. Someone performing a man-in-the-middle (MITM) attack on HTTPS traffic (i.e. HTTP over SSL) would be able to see all content of the encrypted communication, including transmitted usernames and passwords. 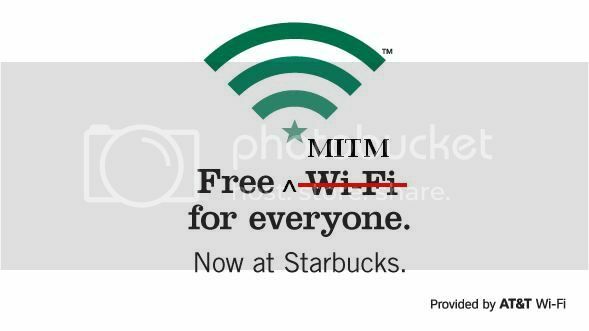 Such MITM attacks can be performed by someone at your local WiFi connected coffee shop, your employer, your ISP or your government. There are several ways users can detect MITM attacks, even when the certificate seems to be signed by a trusted CA. There are, for example, Firefox plugins available from Certificate Patrol as well as Perspectives that can help users by alerting on “new” certificates that have not been seen before. But how would you go about doing forensic analysis of captured network traffic from a suspected MITM attack? My suggestion is to load the pcap into NetworkMiner, which will automatically extract the X.509 certificates from the SSL streams to files with the “.cer” extension. These .cer files can be opened in MS Windows default certificate viewer for further inspection, simply right-click the extracted file in NetworkMiner and select “Open file”. I will in this blog post use the file “test1.pcap” from the “social nOtworking site” pcapr.net. The first thing to inspect in a possible MITM attack is to verify that the IP and DNS name of the server seem to be correct. The next step is to look closer at the server's certificate, for example by opening the .cer file in Windows. 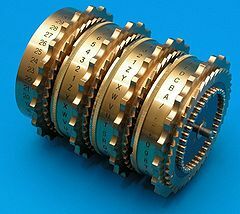 Self signed certificates, revoked certificates and certificates that are signed by non-trusted CAs are generally not to be trusted. 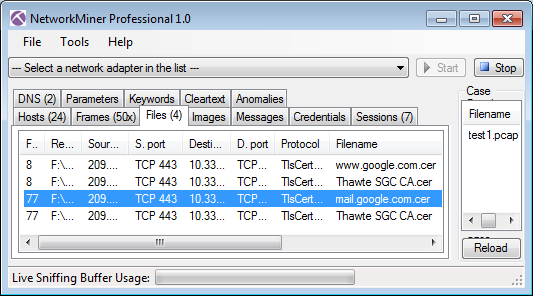 Finding such certificates in a pcap file can suggest that an SSL MITM attack has taken place. 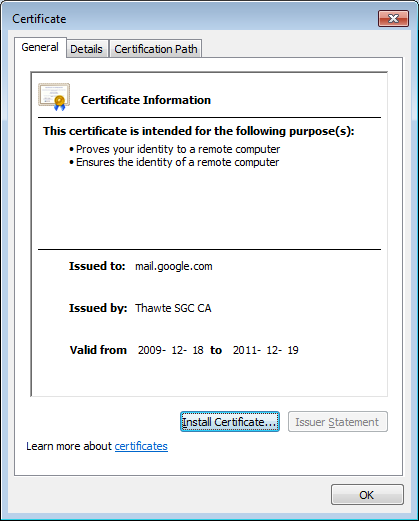 In this case, however, the certificate for mail.google.com seems to be signed properly by Thawte. This type of advanced MITM attack, where the certificate is signed by a trusted CA, can be detected by investigating whether or not other people across the internet are receiving the same certificate as you do for a particular website. The Perspectives Project, which is run by Carnegie Mellon School of Computer Science, provides a web based Perspectives Notary Demo that can be used to query their “network notary” servers to see what SSL certs they receive for a particular HTTPS website. As you can see this fingerprint was also provided by all the four network notaries, so we can assume that no SSL MITM attack was performed on the session between 10.33.134.158 and mail.google.com in test1.pcap. If you wanna learn more about sniffing and analyzing SSL/TLS encrypted network traffic then I suggest you also read our recent blog posts titled Facebook, SSL and Network Forensics and Webmail-Information-Leakage.